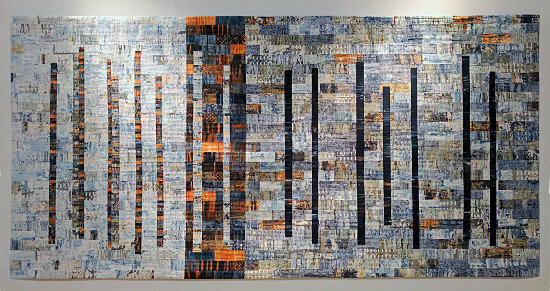 The biggest event in the quilting calendar is The Festival of Quilts. The Festival is organised by The Quilters’ Guild of the British Isles in conjunction with Upper Street Events Ltd. The National Exhibition Centre in Birmingham, is a great venue with good access from the UK motorways. Birminghan International railway station and the International Airport are both just a short distance away. 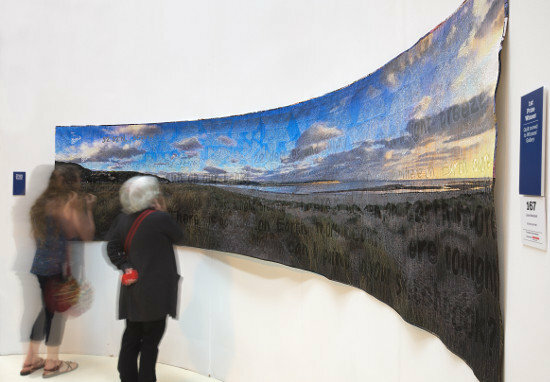 You can understand why the Festival of Quilts has masses of visitors every year from the UK and abroad. That’s the dry information. 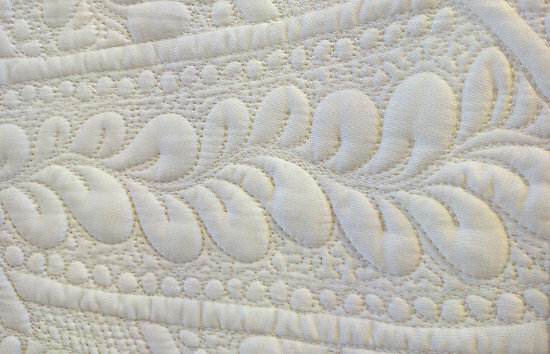 What Festival of Quilts is really about is quilted textiles of all types. 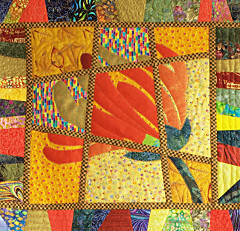 Over 700 quilts are entered into sixteen different competitive categories. There are three additional awards. 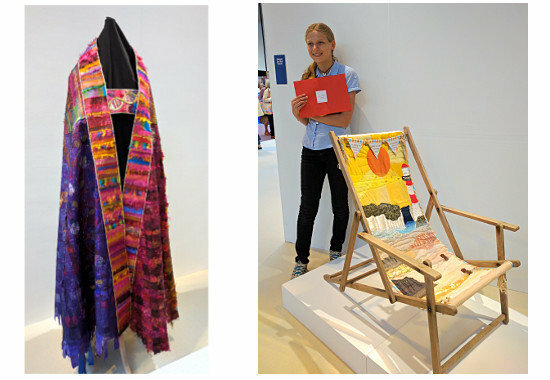 Quilts range from miniatures and traditional, through Contemporary and Art Quilts, to those entered by schools. The range of skills on display is mind boggling. 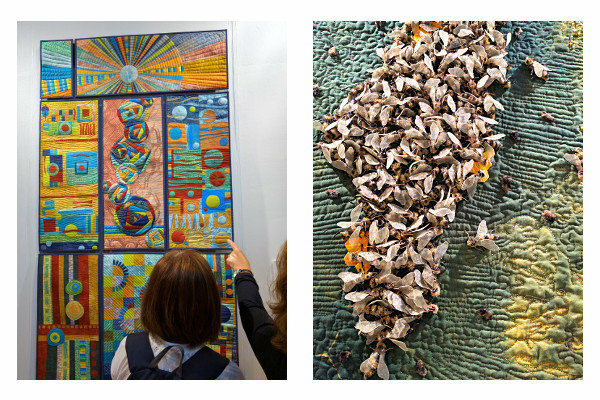 In addition to the competitions, there are individual galleries displaying the work of leading quilt artists and groups from around the world. I enjoy looking through these galleries, and talking to the artists about their work. Not every gallery will catch the imagination, but it’s certain that something will be there to stimulate and excite. This year my favourites included the work of Sandra Meech, Edwina McKinnon, Claire Benn, Ingrid Press. I especially appreciated talking to Cecile Trentini about the series of work in her gallery. The Festival of Quilts is a great place to meet like minded people. You can become a member of the Quilters’ Guild of the British Isles online here. I have been a member since the mid 1980s and really feel part of something special. I bumped into a number of people I know and met up with some of the other members of Cwilt Cymru – which was fun. In addition to all the quilts on display, there is another big attraction at Festival of Quilts. There are 272 stands selling all sorts of things necessary to quilters – well, if not necessary, at least very appealling! I could only go to the show on Thursday but it is open for four days, and some of the long list of workshops on offer start before the official opening day. What did I buy? That’s the question asked the moment we have all settled in for the return journey. There’s usually a mini ‘show and tell’. Well, since you ask, I bought a new cutting board, a book by Jane Dunnewold, some threads and some pieces of coloured silk fabric. Now I need the inspiration to turn them into quilted textiles for my next exhibition. I also brought back some warm memories which will keep me going until next year. This entry was posted in Blog and tagged Festival of Quilts 2016. NEC, Festival of Quilts., NEC on 28 August, 2016 by admin.